TRANSACTIONS: Traded to the Rams (10/30/18)...originally drafted by the Jacksonville Jaguars in the first round (third overall) of the 2015 NFL Draft (4/30/2015). PRO: Fourth-year pro...has appeared in 39 career games with one start...registered 61 career tackles (48 solo), 14.0 sacks, three forced fumbles and three fumble recoveries...set a career- high in sacks in 2017 with 8.0. 2018 SEASON: vs. Philadelphia (10/28): Recorded two tackles (one solo)...vs. Houston (10/21): Notched two solo tackles including one for loss and 1.0 sack...at Dallas (10/14): Registered one solo tackle..at Kansas City (10/7): Tallied one solo tackle... vs. New York Jets (9/30): Saw action on defense...vs. Tennessee (9/23): Collected one solo tackle...vs. New England (9/16): Notched one solo tackle, 1.0 sack, one forced fumble and one fumble recovery. 2017 SEASON: Collected 21 tackles (18 solo) including seven for loss, a career-high 8.0 sacks, two forced fumbles and two fumble recoveries...at New England (1/21): Recorded three solo tackleand 2.0 sacks...vs. Buffalo (1/7): Played in his first career playoff game...notched one solo tackle...at Tennessee (12/31): Registered two tackles and 0.5 sack...vs. Houston (12/17): Tallied two solo tackles including one for loss and 1.0 sack... at Cleveland (11/19): Collected one solo tackle, 1.0 sack and one fumble recovery...at Indianapolis (10/22): Notched four tackles (three solo) including one for loss and 1.5 sacks...vs. New York Jets (10/1): Tallied three solo tackles, 1.0 sack and one forced fumble...vs. Baltimore (9/24): Totaled two solo tackles and 1.0 sack...at Houston (9/10): Registered three solo tackles, 1.0 sack, one forced fumble and one fumble recovery in his season debut. 2016 SEASON: Played in all 16 games with one start, recorded 32 tackles and 4.0 sacks...at Indianapolis (1/1): Totaled one tackle, 0.5 sacks and one pass deflection...vs. Tennessee (12/24): Registered two solo tackles, 1.0 sack and two pass deflections... vs. Denver (12/4): Notched four solo tackles including one for loss...at Kansas City (11/6): Tallied four tackles (one solo) and 0.5 sack...at San Diego (9/18): Totaled a career-high six tackles (five solo) including two for loss and 2.0 sacks...vs. Green Bay (9/11): Made his NFL debut and first career start in the Jaguars season opener...recorded three tackles (two solo) and 1.0 TFL.  2015 SEASON: Suffered torn ACL in Jaguars rookie mini-camp and was placed on injured reserve on 8/29/15. COLLEGE: Declared for the NFL Draft following his junior season...played in 37 games with 25 starts...career totals included 140 tackles (73 solo), 34 tackles for loss, 14.5 sacks, five forced fumbles, two fumble recoveries and two passes defensed... started the final 24 games of his career...served as a team captain his junior season and two games as a sophomore. PERSONAL: Attended Lakewood Senior (St. Petersburg, Fla.) High School, where he played for Head Coach Cory Moore... five-star prospect ranked as the No. 3 weakside defensive side and No. 28 recruit overall by Rivals.com...ranked in the Rivals100 national list (No. 28), as well as the ESPN 150 national list (No. 71)...named an Honorable Mention All-American by Sports Illustrated...also competed as a shot putter, recording a top-throw of 14.32 meters...son of Lanora and Dante Fowler Sr....has two younger brothers, Donterio and Cam’Ron.